"Around the world, more and more people are growing concerned about oil and its consequences and are moving toward new alternatives. This movement is happening at all scales, from major auto manufacturers developing biodegradable vehicles to individuals saying no to plastic bags at the supermarket. Governments are taking action too. What these governmental, corporate and individual actions have in common is a commitment to reduce our dependence on oil through post-petroleum design and technologies. Governments recognize post-petroleum design as the way to energy independence and security; corporations are adopting it to build consumer loyalty by doing the right thing for the environment; and consumers are demanding it for the health of the planet and future generations. 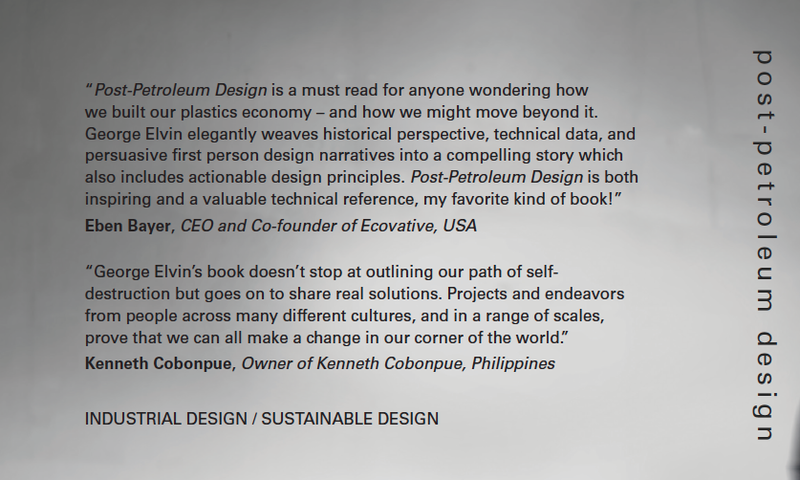 My recent book, Post-Petroleum Design, is filled with the ideas that unite these diverse people and projects into a movement that is changing the way we make our world. In it, designers can see how their fellow creatives are using petroleum-free materials to shape bold new designs in everything from electronics to architecture. Businesspeople can learn how to manufacture products with less plastic, energy and waste. Even those outside of design and business can enjoy its eye-opening revelation of innovations from leading designers in apparel, packaging, automobiles and more. 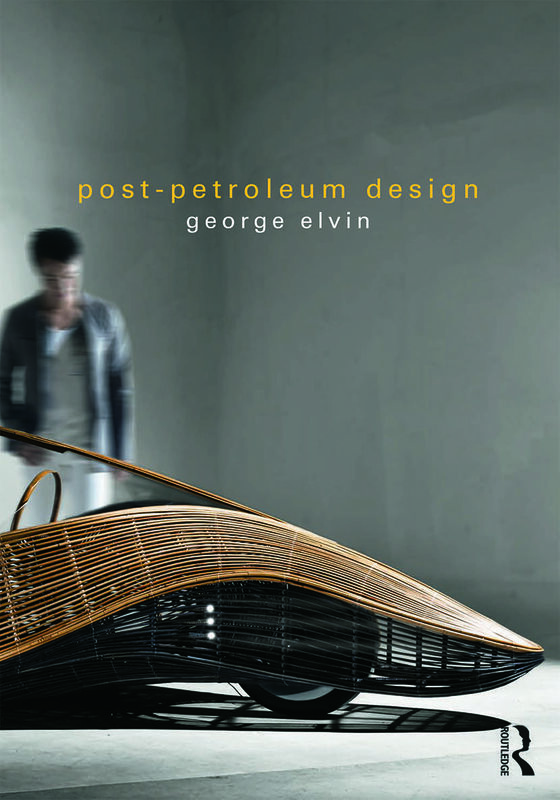 Post-Petroleum Design celebrates their successes and, for the first time, weaves them together in a compelling story. Through its pages, readers can travel the globe, visiting design studios, cutting-edge labs, and remote villages where post-petroleum designers are using everything from bamboo to bioplastics to shape a better future. Vernacular craft traditions, industrial-scale production, even the latest advances in nanotechnology, all hold secrets with the potential to lead us beyond our dependence on non-renewable resources, secrets that are now being unlocked by post-petroleum design. I invite you to share in my own journey into post-petroleum design and, I hope, share in the excitement I felt as I identified the common principles shared by its pioneers. These principles represent a new culture in design and commerce, and yet they are the same principles evolved over eons by nature herself. Many books on green design and sustainable business espouse principles based on nature, but this book, like my journey itself, is different. In this case, I discovered a community of like-minded designers working with shared interests, and then began to recognize their principles. The realization that they are the very ones that nature works by was profound. It gave me hope that we can go beyond our current petroleum-based paradigm and reduce the threat of climate change, toxic waste and pollution. It is a challenging task, but it is one that is already being taken up by leading designers the world over. With the power to change the world and how we live in it, post-petroleum design is the new oil." - George Elvin, Author of Post-Petroleum Design This post originally appeared on George Elvin's blog.